Free Download Microsoft word viewer to open, view, print and copy Word documents, without the need for installing Microsoft Word 2007 or Word 2010 on your computer. 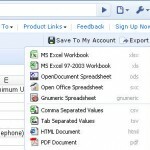 We had earlier covered several free software from Microsoft to open, View, print and copy excel and PowerPoint files. This included a Visio Viewer to open and view files with .vsd extension. If you have Word Viewer 2007 and Microsoft Compatibility Pack for docx File Formats installed on your PC, you may open any Word document saved in either doc or docx file formats. You can also open any other Word document saved in .txt, .rtf (rich text format), .xml, .htm, .html, .mht. .mhtl and .wps formats. You can not only open and read through full-featured word documents but you can also print them or copy the content to another Office application. However, you cannot edit, save or create any new document with this free document viewer. 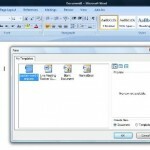 Word Viewer 2007 is the latest version and it can be used to open and view any office 2010 or office 2007 document. It can also be used to view documents created using Word 2003 or any earlier edition of Microsoft Word. However, make sure to install the Compatibility Pack after installing Word Viewer, to open and view documents saved in docx or docm (macro-enabled document) file formats. Free download word viewer 2007 and install it by double-clicking the downloaded exe file.You may then download and install the Microsoft Office Compatibility Pack from here. But it is important to remember that features supported in Microsoft Word 2007 and 2010 editions will be affected, when viewing documents saved using those editions with the word viewer. However, if you have internet connection, you could upload any Word document to windows Live sky drive, open and view those documents using Microsoft Office Online Web Apps. If you have the right kind of permissions on the uploaded document, the free online Word app will also let you to edit the word document.